Do We Care Enough to Share? Do you care enough to share the gospel with someone? 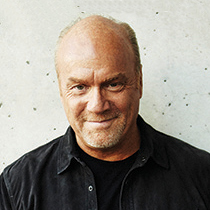 Greg Laurie explains how the tragedy of the Titanic is a lesson for us all. Do you care enough to share the gospel with someone? The apostle Paul cared so much he shed tears over those that did not believe, saying, “I wrote to you in deep distress and out of a most unhappy heart (I don’t mind telling you I shed tears over that letter), not, believe me, to cause you pain but to show you how deep is my care for your welfare.” (2 Corinthians 2:4 PHILLIPS). Even before the movie Titanic arrived on the big screen in 1997, people have been fascinated by its story. Clearly, many mistakes were made that led to its sinking. Although it was called the unsinkable ship, it sank—and relatively easily, at that. We know that 1,500 people perished in an icy grave. We know there weren’t enough lifeboats on board. We also know that many of the lifeboats went out half-full, some with only four or five people, when they had the capacity to carry at least 60 people. But one of the greatest tragedies about the Titanic is the fact that while there was room in the lifeboats, no one went back to save anyone else. They rowed out a distance from the sinking vessel because they were afraid of the suction caused by the ship sinking. Survivors said they could hear the screams of the people as the Titanic finally disappeared below the surface. Here were people in lifeboats that had room for more! They could have rowed back and pulled others in, and yet they did nothing about it. They waited for about an hour, and then they went back. By then, they were only able to save a handful of people. They waited until it was too late. The apostle Paul wrote concerning his own countrymen, “Dear brothers, the longing of my heart and my prayer is that the Jewish people might be saved” (Romans 10:1 TLB). Do you have a concern in your heart for lost people? Do you long for your neighbors, friends, co-workers, and family members to know the Lord? That is where it starts.